I was recently invited to review LeapTV - and give one away which I did during my Month of Christmas Reviews/Give-Aways (November). 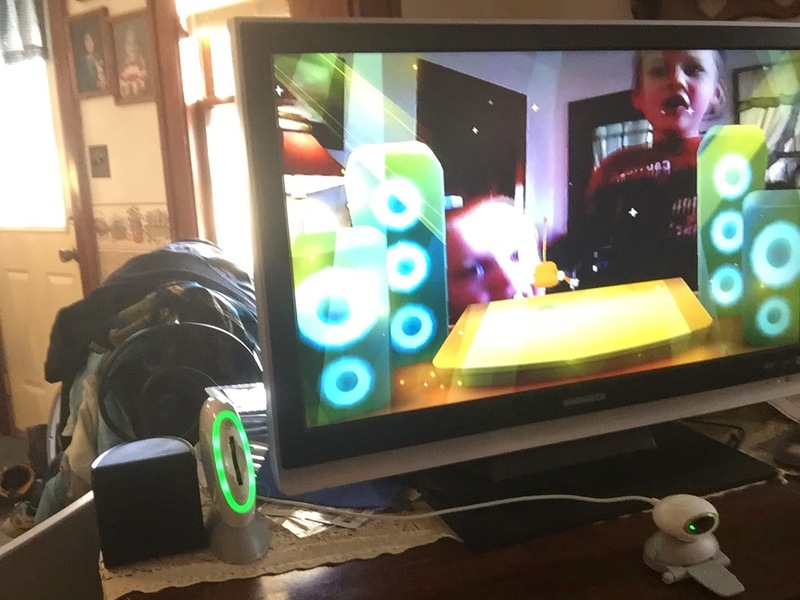 Last week LeapFrog asked me to review and share my opinions of a couple of the games they loaded on the LeapTV they sent me for review; so since my grandsons were over yesterday, we hooked the LeapTV up and had them spend some time playing the two games I was asked to review - LeapTV Dance and Learn Game and LeapTV Sports! Game . . . a lot of fun, laughing and moveing went on at this grandma's house and I'm very happy to share my opinions of these two games with you today! Both games have several options and ways to play, so each of these is really like getting nine games for children to play! Each game involved children having to solve simple math, or vocabulary/word problems while they play! More than one way to play - with controller, pointer or by "putting themselves in the game" and moving! My grandsons - and their dad especially loved the Skateboard and Snowboard games! LeapFrog says; "Dance, sing and move to the music in nine games which teach early reading skills. Children will love being the star of their own dance party as they appear on TV to drum out rhymes, slap together compound words, flutter like feathers and dance like dinos. Double the fun by inviting a friend! Designed for children ages 4-7 years, LeapTV Dance and Learn Game works with the LeapTV Educational, Active Video Game System." And they had this to say about LeapTV Sports! Game; "Become a mathematics MVP! Get up and get learning with nine exciting sports games powered by active play. Knock subtraction skills out of the park, karate-chop shapes, block goals with number-line power, swim, climb and more while competing with a friend! Designed for children ages 4-7 years, LeapTV Sports! Game works with the LeapTV Educational, Active Video Game System." My grandsons really loved LeapTV Sports! Game - especially the Snowboard and Skateboard games! They enjoyed becoming "part" of the other games as well - especially with the Swimming and Karate games. We had a little trouble with some of the sports games recognizing and registering their moves; which meant at times we had to restart games. There was one game which kept turning the system off when they tried to play it, but overall, it was great fun for them to see themselves on the TV playing the games in the games, so even though there were some "glitches", they still had fun! I know these games will be getting plenty of play-time with my grandsons! 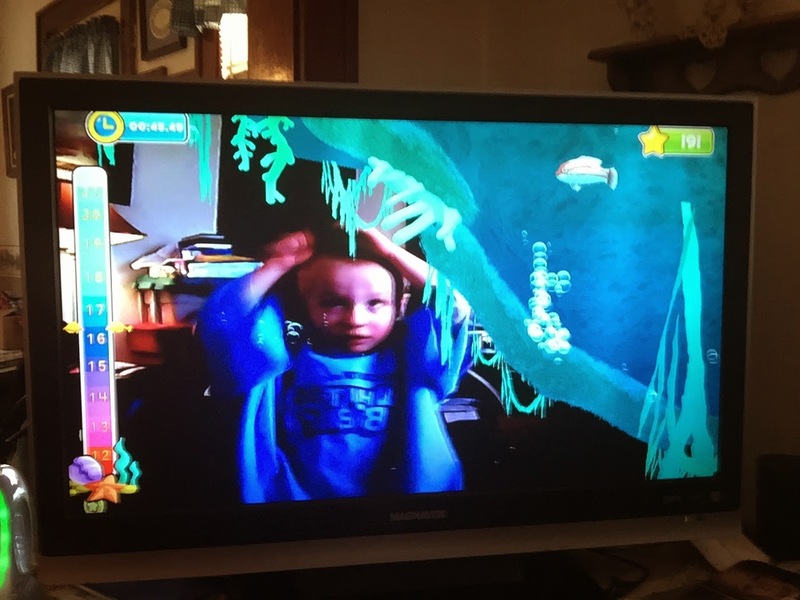 They also enjoy dancing, so LeapTV Dance and Learn Game resulted in a lot of active fun at this grandma's house! They discovered if they had Caleb dance in the front and Josiah in the back (since he is taller) they could both become part of the dance/game at the same time . . . and I was able to enjoy watching my two sweet boys dance to their heart's content! They especially enjoyed "Free Dance" as they were able to dance however they liked! LeapTV is easy to use and so much more than just another video game system. 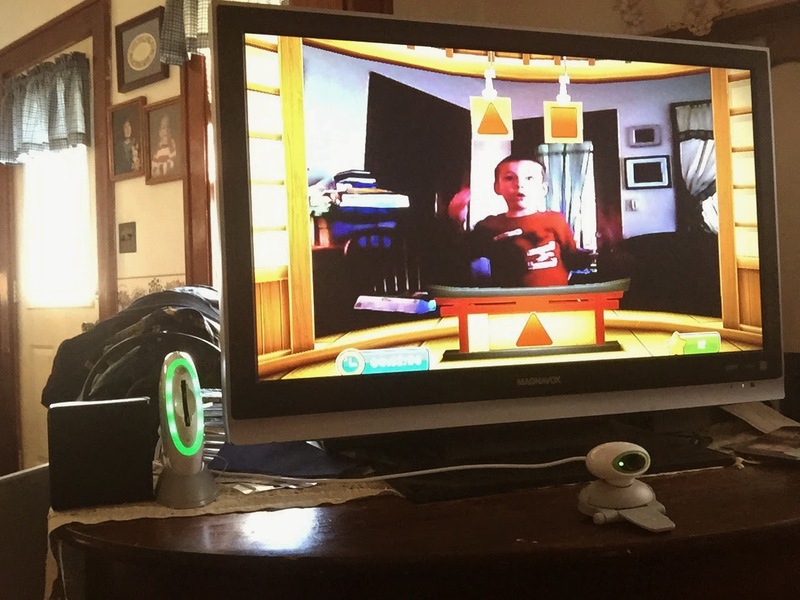 Children definitely are able to play fun games; and will be delighted at being able to actually "become" part of the games, but the two best parts with LeapTV are children move and learn while playing! LeapTV Dance and Learn Game and LeapTV Sports! Game are well written and well designed to get children moving, learning and having fun! Wrapped with Love - Part Two! This Adult "Belongs" to That Sweet Child! Tomorrow Samantha Receives a "Home"! Three More Days Until Samantha Gets a Home . . .
Christmas Means . . .
Fun Ideas for Announcing a Late Gift . . . I Am a Very Blessed Grandma! Christmas Caroling - Mary Did You Know? crafting with grandma - Woven Stars! Christmas Caroling - Joy to the World! Christmas Caroling - Born is the King! crafting with grandma - Great Gift Ideas!